The specimens shown below from Uganda and Sudan have the morphology described by Emery, although apparently with rather less black areas. 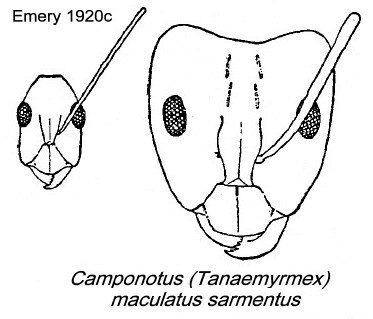 They certainly are distinct from the Camponotus maculatus type form. The photomontage of the type (?) 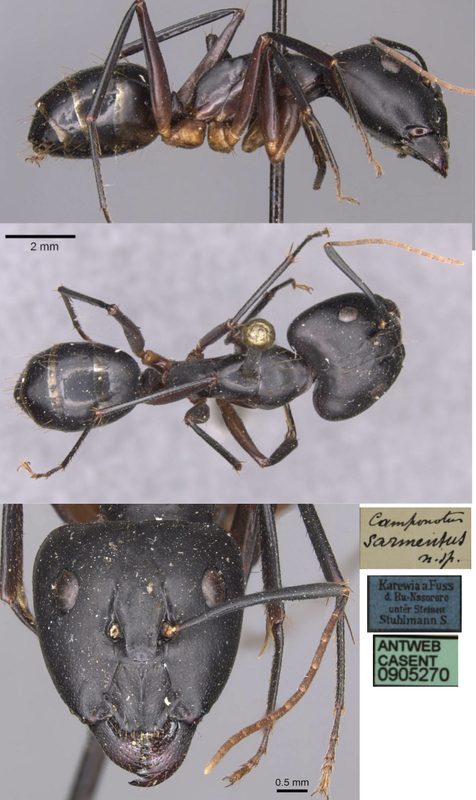 major worker is collated from http://www.antweb.org/specimen.do?name=casent0905270. 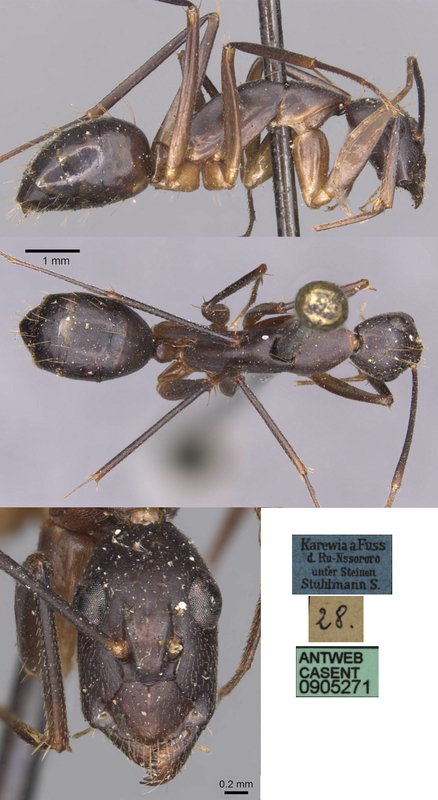 The photomontage of the minor worker from the type collection is collated from http://www.antweb.org/specimen.do?name=casent0905271. The photomontage is of a major worker from Sudan, Khartoum; collector Z Mahmoud. The photomontage is of a minor worker from Uganda, Entebbe; collector C A Wiggins. The photomontage is of a minor worker from Sudan, Khartoum; collector Z Mahmoud. The photomontage is of a minor worker from Sudan, Abu Hijar; collector Awatif Omer.